Visiting our website for corona limo rentals for the first time? You will not regret coming here. Your tour of our site will be as exciting as your trip in our limousines! We try our level best to make your trip as memorable as it should be. Our commitment to deliver you the best value reflects in the limousine rentals we offer. United Limousine and Charter is an exciting new generation professional Corona limousine rental company. We provide variety of corona limousine service from corporate events to leisure outing and between Airports, Hotels and Resorts and handle major clients for Conventions and Conferences. We offer a variety of itinerary to suit your time frame and special requirements. Let us do the driving while you sit back and enjoy the ride. We can provide Corona limo rental for your wedding or we can provide transportation for Concert Limos, Birthdays or any other specials event. We have the best cars in our fleet, and very courteous and dignified chauffeurs to drive you for your occasions. We provide excellence in Corona limo rental service along with consistent and professional service each and every time. We establish relationship of trust with our Corona limos customers and strive to bring you the very best experience possible. 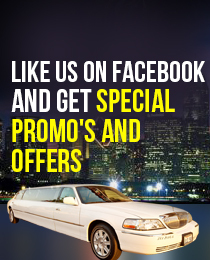 We want you to have an unforgettable limo experience, so relax and enjoy the ride! Which Corona Limo is Right For You?